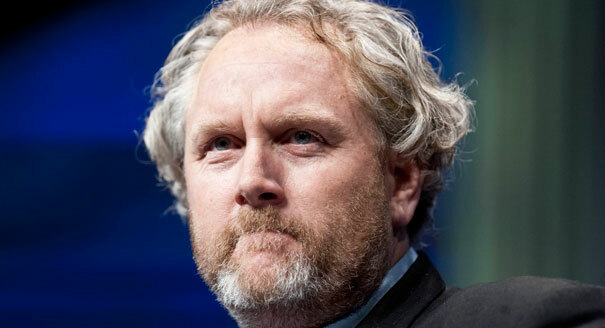 Saddened to hear about the death today of conservative editor and blogger Andrew Breitbart at just 43. Terrible how men, even young men, can go suddenly and unexpectedly due to heart trouble, but they sometimes do. A gutsy intellectual warrior who never shied from confrontation, he stood for the First Amendment and for the truth. As such, it seems not unfitting that his death, while tragic and untimely, came fast and decisively. I heard him speak in New York at last year’s Center for Security Policy Mightier Pen Award lunch, where he highlighted the nature of the doublespeak the left employs when labeling conservative media outlets “scary” and biased, and I included his remarks in this piece about the event. Breitbart crystallized the reality very well: in fact, those who demonize conservative media do not want a free and unbiased press, nor are they true liberals. In fact, what they want is a media dominated by people who think just like they do, and as such, are only “liberal” toward their own ideas. In reality, he countered, there “has always been an adversarial press in this country” and the MSM’s claim to strive for perfect objectivity was a unique oasis in U.S. history. American media is moving closer to the British model, he believes. In Britain, newspapers like the (right-wing) Daily Mail and the (left-wing) Guardian make no secret of their ideological perspective and, while they view it as imperative to get their facts right and provide some context that another perspective exists, do not claim perfect objectivity. “You can get truth from all of these sources,” he said. He argued that, to recognize different sources have different biases is “more mature” than expecting one’s source of news to spoon-feed perfectly objective coverage. The existence of old and new media, as well as media sources that span the political spectrum, promote truth and accuracy in reporting, he argued. He cited the Dan Rather debacle as evidence of mainstream media bias as well as a lack of accuracy that he noted Rather was unwilling to cop to – even when it was undeniable. “One of their top ‘objective’ people was not objective, and even when caught with his hands in the cookie jar was not able to go out with grace,” Breitbart said. To those like the reporter who wrote this smug recap of Breitbart’s career who would accuse him of having “edit[ed] the facts” I can only think Breitbart is looking down from heaven, chuckling, and noting, “Edit the facts, eh? Kind of like Dan Rather and Anthony Weiner?” But the Left, along with the world on its axis, will continue to spin. Breitbart was the first to admit he spun the news too–only unlike some on the Left, he was honest about the facts (something that emerged from the Weiner controversy) as well as about his perspective. 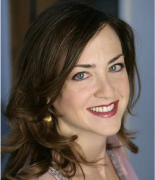 This entry was written by Heather Robinson and posted on March 1, 2012 at 7:40 pm and filed under Blog.